Top 5 predictions of MayaData-OpenEBS for 2019 on Kubernetes and Cloud Storage. Thanks for reading. Here I try to make 5 specific predictions that we can look back on in a year. Hopefully, along with the ways, I leave some breadcrumbs that explain my thinking that could be of interest to the broader community. Feedback is welcome and needed. The first couple of assertions may be fairly innocuous. One sign of the shift of database and ML workloads onto Kubernetes is the emergence of projects like KubeDirector and the recently announced Maestro from Mesosphere for the management of stateful workloads on Kubernetes as well as the continued growth of KubeFlow and other projects for ML on Kubernetes. KubeDirector is an interesting project that aims to eliminate a lot of the hard-coded components of many operators — replacing these with additional metadata fields. I see a few such projects emerging. An operator for stateful workloads that we see used some in the OpenEBS community is https://kubedb.com which supports several workloads such as Elastic and MySql. And just about every database has an operator or two from the project or related projects, with CrunchyDB https://github.com/CrunchyData/postgres-operator being a notable example that we see used quite a bit for running PostgreSQL. I am pretty optimistic about Mesosphere’s ability to deliver a “universal operator” because they have the experience of running stateful workloads on Mesos and, well, because Florian’s blog announcing it makes a lot of sense. In other words, I have not played with it and have yet to see users on the OpenEBS community using it. Nonetheless, I definitely recommend keeping an eye on it. With users like JD.com and Adobe starting to use OpenEBS in their analytics and ML pipelines, we are quickly learning more about these and similar projects. Which ones did I miss? Where would you suggest we proactively investigate? Just as we are seeing operators and similar for DBs and ML — we also believe intelligence for the management of disks, local PVs, and related storage tasks that are similarly delivered via operator code patterns will emerge. We are already seeing this is in the take-off of adoption of our open source OpenEBS. And I’m confident we will see the NDM project that is upstream in Kubernetes will see more outside contributors as it helps solve many standard disk layer issues in a Kubernetes native way. At December’s KubeCon over 600 would be attendees to the cloud-native storage day were left on the waiting list — the idea of using Kubernetes itself as a substrate for stateful workload management is now well accepted or at least of interest to much of the Kubernetes community. Just about every data stack these days has a key-value store embedded in it. You can think of there being two uses for these key-value stores — one for metadata about devices (and here the NDM project https://github.com/openebs/node-disk-manager should win out over time for storage projects and other users of underlying media that are built upon Kubernetes) and the other for location information about sectors on the disk. Yes, that’s a massive oversimplification. Anyway, just as the NDM Kubernetes project will disrupt higher level inventory, the on disk KVs will disrupt the lower layer KVs. 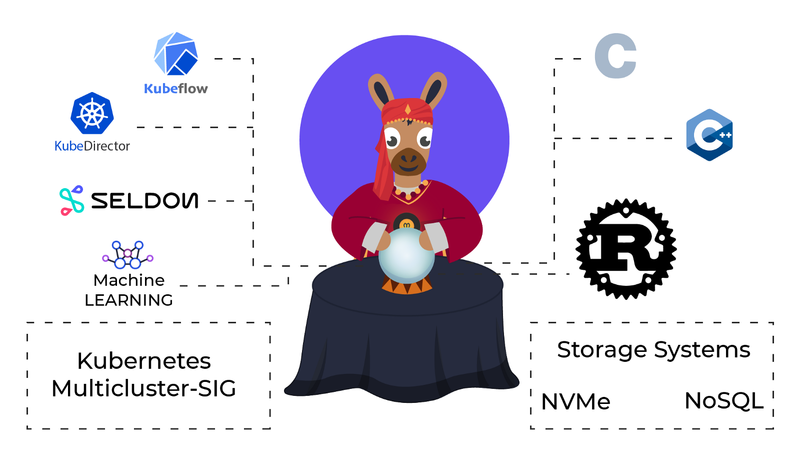 This is likely worthy of a blog or ten itself — however for now if you want to look into the future of NVMe and containerized more broadly I’d point you towards the talks given by our CTO Jeffry Molanus. And it is not just KVs that are getting built into the underlying hardware — effectively w/ NVMe over TCP (which was just ratified last month) you have a data fabric that is able to provide much lower latency and that better leverages multi-core environments. There is some thought that the fundamental architecture of systems will evolve or shift, with WD as an example arguing that infrastructure itself will be composable. So the silos between pieces of the infrastructure stack will erode, which brings us to….. This one might be a bit uncontroversial, however when you peel back the approach of many projects and storage vendors you’ll see that they don’t really get the new personas that are now driving most decisions. These developers and DevOps engineers are quite a bit different than traditional infrastructure silo specialists, such as storage engineers or network engineers or even data backup engineers that focus entirely on a particular technology. Today we see many projects emerging that are enabling a level of cross-cloud management, including the nascent Crossplane. We’re seeing our DMaaS for API driven stateful workload migration, back-up, and rebalancing as an important part of this pattern as it emerges. System software is important. And often annoying. We have seen many efforts over the years to replace or at least complement C and C++ with other languages and yet when it comes to reliability and performance and other attributes that are so important at the interface between hardware and software that system software provides — we come back home to C.
Witness our own cStor which is a refactored containerized storage controller written in C. In hindsight if we had waited a year or two we likely would have chosen Rust and, in fact, the skunk workers are working away on Rust at MayaData. Why? What’s so great about Rust? Bryan Cantril is far more qualified than I am to talk about the subject and he has done a number of times. I strongly recommend his talks. So what? Why should the average user of distributed systems (i.e. you the reader) care at all about Rust? Well a) It should lead to faster innovation at the systems layer and b) This is especially needed now as aspects of traditional operating system capabilities are re implemented in the user space. And that is important because the boom in the number of cores — and the idea of running software like storage software as user space containers — catches hold. And that, in turn, is important because user space software is able to run anyway and is amenable to being orchestrated more easily by Kubernetes. In short — Rust will bring incredible power and performance to the ease of use and ubiquity of Kubernetes. I hope the above 5 points were of interest. We seem to be quickly building our way towards El Dorado. Imagine distributed systems that are “easy” to operate, that are a common layer across clouds and hardware environments, that leverage key-value stores that are well understood to deliver massive performance from NVMe, and that are increasingly built upon a modern language that better delivers performance and safety than C and C++. Put all of that together and we seem likely to make it through to a world in which the new personas of full stack operators and developers have a fighting chance to make it all work together while accelerating enormously innovation. We’ll be pitching in ourselves at MayaData, working hard to deliver data agility — the ability for today’s full stack operator personas to treat stateful workloads increasingly like stateless workloads. We need your help in the form of feedback, OpenEBS, and MayaOnline usage, and, yes, code. Happy New Year! 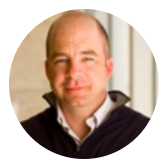 Founding CEO of a few companies including StackStorm (BRCD) and Nexenta — and CEO &Chairman of OpenEBS / MayaData. ML and DevOps and Python, oh my! Delivers Data Agility . Free development from storage constraints with OpenEBS, validate with Litmus, and monitor with MayaOnline. MayaData delivers data agility through OpenEBS, Litmus, and MayaOnline.